Durable, Long Lasting Cement Fencing. Concrete Fencing has been promoted to a lasting designer style fencing. Historically, what was once thought to be just a concrete wall is now an artistic display of unique and vibrant masonry work. Precast concrete fences give the appearance of warm wood, fashionable rock or timeless brick in a variety of styles ranging from basic to elaborate. They are virtually maintenance-free and incredibly durable, reinforced with steel and cement, to provide maximum strength and security. 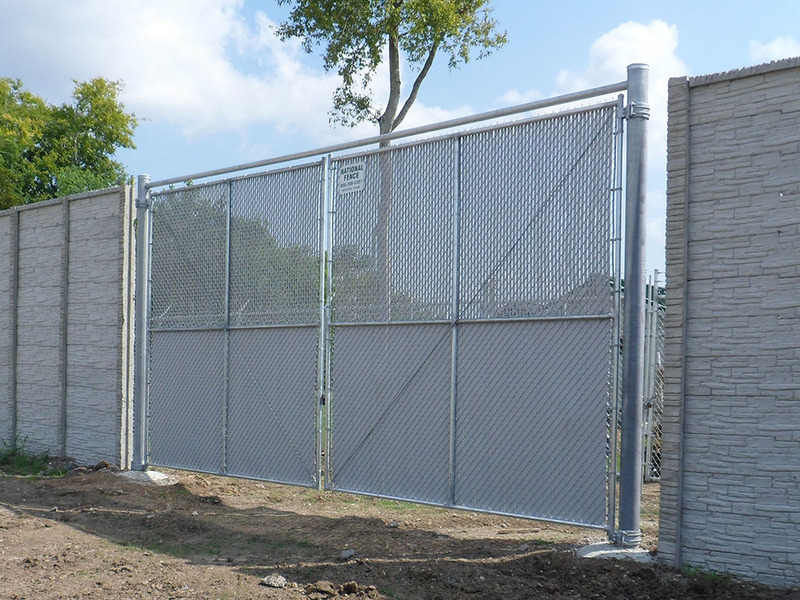 Pre-cast concrete fences can be used as sound barriers or as privacy fencing for residential homes, commercial properties, entire communities, homeowners associations and government agencies. Each precast concrete panel combines security and aesthetics to create a custom look for your specific need. Contact National Fence Company today for a professional consultation on your requirements and how our precast fencing styles will meet your needs.